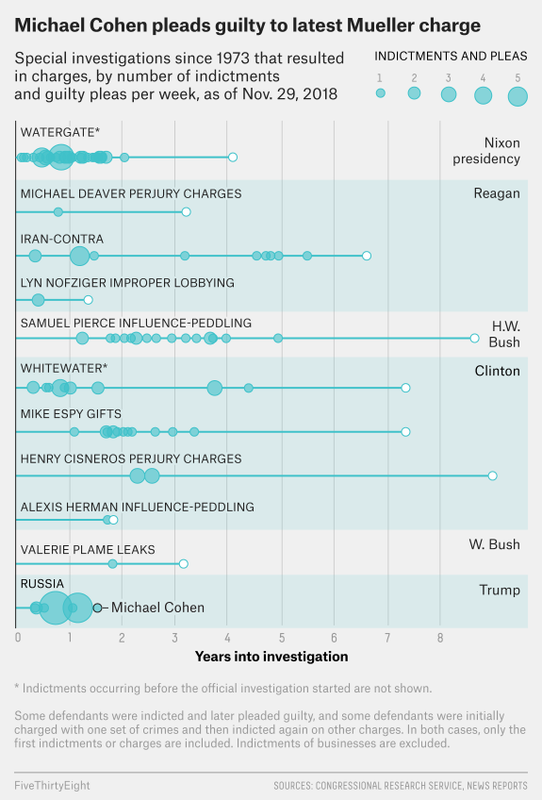 How does the Mueller investigation compare with former investigations, of a similar size and scope, in terms of length of time, money spent, and indictments brought? What are some of the extreme examples of these categories that have occurred? 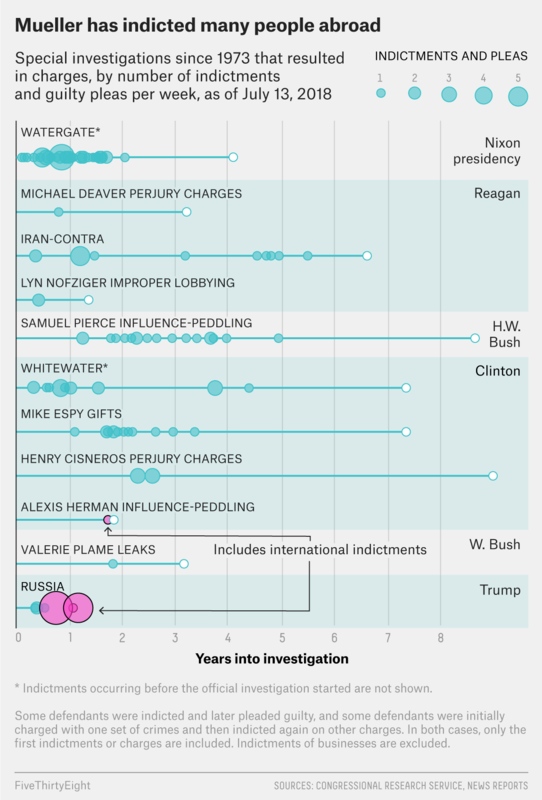 FiveThirtyEight has a chart and an article that compares the current special counsel investigation to previous ones, accurate as of November 29, 2018. The vast majority of the people charged by Mueller live abroad — specifically, in Russia. This means that unless the 25 Russians individuals accused of crimes related to election interference travel abroad, are arrested and turned over to the U.S. or are extradited by Russia, Mueller can’t actually prosecute them. FiveThirtyEight also has an older article, with comparisons to previous special investigations in detail. So, if you add up the direct and indirect costs through Sept. 30, 2018, [the cost of the Mueller investigation] works out to $25.2 million. Not the answer you're looking for? Browse other questions tagged united-states special-prosecutor mueller-investigation or ask your own question. Why is Mueller not focusing on the 2016 Election? What is known about the Mueller investigation in December of 2017? Why are conservatives so patriotic and hateful of the government at the same time?